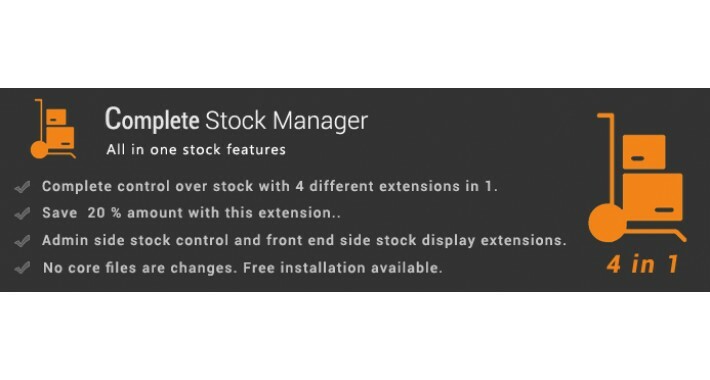 A complete stock manager is a group of extensions that provide you complete control over stock management. It has admin side (Backend) and customer side (Front-end) extensions to help you get the best control. With complete stock manager, your work time with stock will be reduced. It is built with 4 extensions from opencart. - Module is now made compatible with 2.3 version. - Look for instock status has been improved to show them in product image. a) Add to cart disabled when product quantity is zero and based on stock status. When product quantity is zero then Add to cart is automatically disabled. Add to the cart can be disabled based on the stock status of the product. It disabled from all pages of opencart like the product page, category page, module pages, etc. a) when quantity is zero and status is out of stock, add to cart should be disabled. b) when quantity is zero and status is pre-order, add to cart should not be disabled. b) In opencart, by default you can only add quantity for a product from the product page. With this feature, you can allow customers to add quantity from all pages of the store. c) Show out of stock status when product quantity is zero. In Opencart, by default out of stock message is only displayed on the product page when quantity is zero. With this feature, a customer can also see out of stock message instead of add to cart button on different pages. Direct stock edit gives the admin a super control over stock. You can easily track any product with filter and edit stock on the same page. Filter by product name, model, SKU, category, manufacturer, etc are available. It is built over ajax. So as you type new stock it saves it instantly. You can also edit price for any product from a single page. Each product will now show option in the same list below the product name. It is a real time saver. Product and option quantity both can be edited on a single page. New feature to track low stock products via email. You can enable this feature on the direct stock edit page for products. You can also set up to receive low stock email only for certain products. 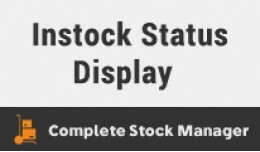 In stock, status is a status is a new stock status for products. By default, you can only show one stock status for all products on the store. With this feature, you can show different stock status for each product. The in-stock status can be displayed on all pages like home page, category page, modules, product page. - The following extension contains 2 stock features currently. - Feature to show current quantity available in stock on order info page in admin. - You can check current product quantity available and option quantity available for each product. - The second feature, by default admin, cannot place an order for low stock products from the backend. - With this feature it allows admin to place an order from backend when a product is out of stock. This is a great set of extensions and the support is great. Thanks @cartbinder. About The idea is simple: When a product is going out of stock that is having quantity zero or less than zero. Display a selected set of products or related .. The extension adds 4 cool features to your store: - Quantity input box on all product listing page. - Add to cart disabled when product quantity is zero. 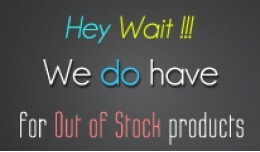 -..
About In-stock status is a status that is shown for products in stock. You can manually change in stock status for each product from the backend. And this ..
About Now edit quantity, price and stock status by direct entry of value. 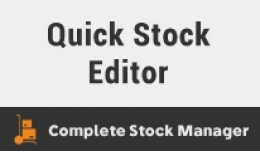 A single page stock editor designed to save time for admin and easily handle stock..
About The extensions contains features that improves the stock management. Each feature is different and can do a complete different job. 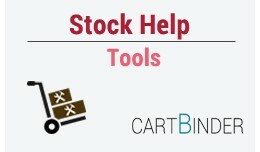 Currently 2 featu..
About: Multiple Warehouse Stock Management is an opencart extension designed for managing products/options stocks in different warehouses. It provides facili..